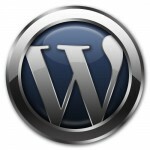 WordPress is great blog software and, quite frankly, the tool I would recommend to run your entire site, home page and all. This site wide use of WordPress has become so prevalent that I don’t really even refer to it as blog software, it’s web presence, content management software with SEO built in. I went on twitter and using the advanced search functions I tracked conversations regarding WordPress design in hopes of turning up the names of folks specializing in this tool so I could create a bit of a resource. While I did turn up a tidy little list (see below) I also uncovered the fact that people tweeting requests for WordPress design help outnumbered people suggesting they could provide that help about twenty to one. I think we have a supply issue here! So today I want to do my part to free up some of the backlog of WordPress design frustration, point out some great designers and show you some resources aimed at teaching you how to become a designer yourself. The first stop is premium themes. Premium themes are great design templates that have become so flexible they not only allow you to create and run your entire web site, they do so without much fear that your site will look like everyone else who uses the theme. Hire a WordPress Designer. A designer that specializes in WordPress can often create a killer custom design for less than you might have once paid for a web site design, but they can also take a premium theme and help your customize it, sometimes for very little cost. This hybrid solution marries design, functionality, quicker turnaround and, in some cases, lower costs. Become a WordPress Theme Designer. This last option may start to sound pretty appealing if you’ve followed my thread about a demand backlog. It takes time and talent to build up the necessary skills, but the market is huge and growing. So, you want to learn how to be a WordPress designer? How To Be a Rockstar WordPress Designer – http://rockablepress.com/ – I have one free copy of this book – tell me why you want to become a WordPress theme designer in the comments. This is by no means the complete list – if you are a designer or know a designer please add via comments.